"a wide spectrum from well-known academic medical centers to less widely recognized community hospitals. Each of these organizations has put patients' needs first, driven a variety of innovations and helped to set the bar for high-quality care. Each hospital has an impressive list of achievements and a story to tell." Click on the post title to access the full article by Leigh Page called "50 Best Hospitals in America" (Feb 24, 2011). 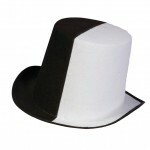 'White-hat'? 'Black-hat'? Seems almost 'cloak and dagger', but what does it all mean? The New York Times has published some very interesting and enlightening information about the world of internet search and the games people play to get to the top ~ the top spot on your Google search generic list of hits that is! The article is called "The Dirty Little Secrets of Search". "Despite the cowboy outlaw connotations, black-hat services are not illegal, but trafficking in them risks the wrath of Google. The company draws a pretty thick line between techniques it considers deceptive and “white hat” approaches, which are offered by hundreds of consulting firms and are legitimate ways to increase a site’s visibility." The recent showdown on Google, which is the subject of the article, is described by one interviewee "as the most ambitious attempt to game Google’s search results that he has ever seen". Click on the post title to read this article from The New York Times.